Enter… doing new exercises or hitting others harder than you have recently. I actually, in a twisted way, kinda like that feeling. I know I’ve worked m body in a different way and that’s a good thing. We do adjust to the same/similar work over time and have to step outside our comfort zone, whether it’s adding something new, increasing our weights or our reps, or running a little farther. I’ve also read a lot on how runners can rely more on their legs than the strong powerful glute muscles to drive their run and how those muscles, even though the largest on the body, can be weak or neglected leading to potential injury. I’ve been focused on doing some specific work in that area for awhile now. Yesterday’s workout was one I enjoy ’cause for me it’s constant movement and variety. I do some boxing for like…3 songs (that will get you breathing hard) and it’s great upper body/core work. I move into doing some weights, back to some boxing, then core work on the floor, weights, and maybe end with the final song hammering on the bag. ( seriously, if you ever need to release stress, anger, frustration…. get a punching bag 😉 anyway, put all that together, it’s a good workout that I feel the next day. I like that. Squats. I do those suckers wherever I can. I can knock off like… 50 brushing my teeth. 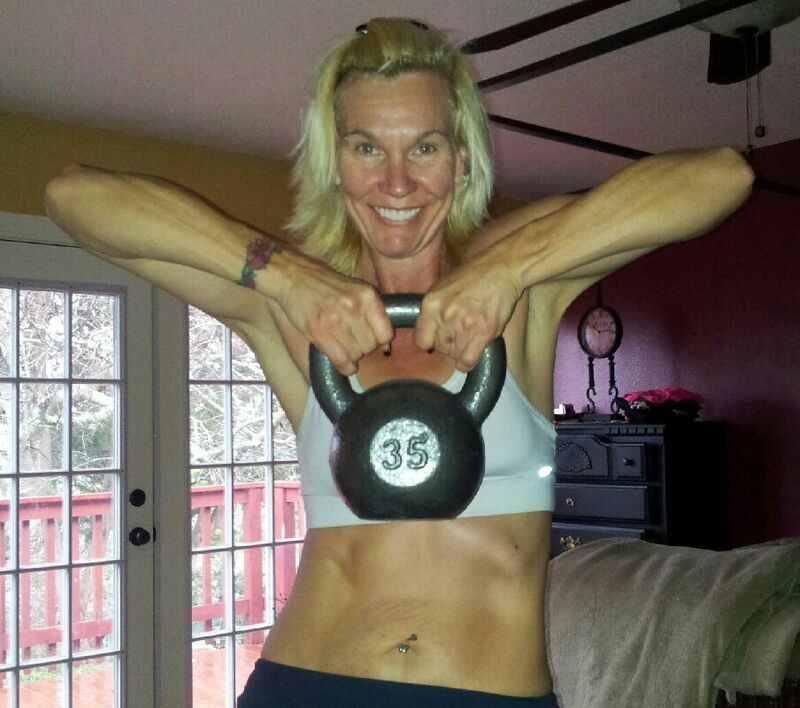 Do that twice a day… that’s outside of my workouts… bonus… I use a 35lb kettlebell to do my squats with in my workouts. Yeah, you’ll feel that after awhile. Deadlifts. Again, if I’m moving through a quick workout, that kettlebell really comes in handy. Lunges. Those are always a good standby and can be modified for your needs. Do you have any favorite “go to” strength exercises ?